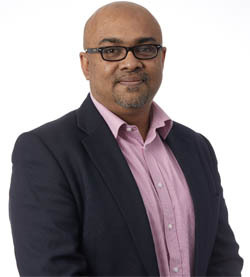 Mr. Ghosh provides a specialist trauma & orthopaedic service at West Herts Hospitals NHS Trust. Clinics are held at Watford General and St Albans City Hospital and operations performed at Watford and St Albans City Hospitals. Mr. Subhajit Ghosh joined the West Herts Hospitals as a Consultant in Trauma & Orthopaedic Surgery in 2016. He received his higher orthopaedic training as part of the North-West Thames Orthopaedic Training Programme. After completing his speciality training, he undertook three highly regarded fellowships: Soft Tissue Knee Fellowship at the Guys Hospital, Arthroplasty and Sarcoma Fellowship at RNOH, Stanmore and Hip & Knee Arthroplasty Fellowship at the Nuffield Orthopaedic Centre, Oxford. Mr Ghosh approaches his patients as unique individuals in order to assess their problems and suggest an individual tailor-made plan to suit their needs. A big part of this is to listen to the patients and explain clearly in a way that the patients and their families understand- so the decision-making process is a collaborative one with the patient’s need at its centre. Mr Ghosh has a keen interest in making the postoperative recovery as pain free as possible and to enable the patients to return to normal life as soon as possible. He has been involved in designing and implementing these methods at the Nuffield Orthopaedic Centre, Oxford as well as at the West Herts Hospital NHS Trust.